Another celebrity got married! This time, it was Iza Calzado. 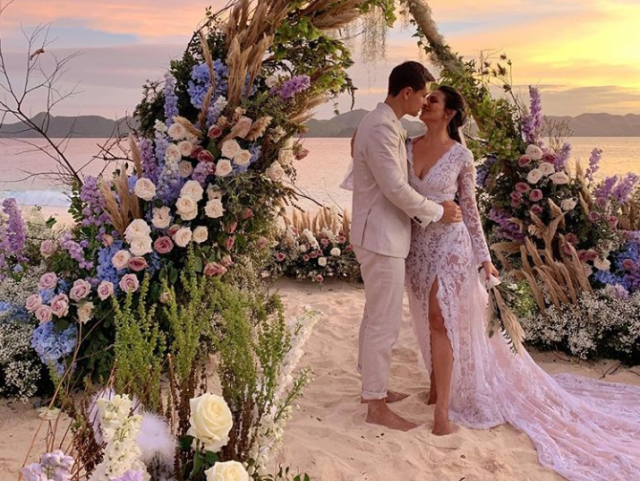 She tied the knot with businessman Ben Wintle at Club Paradise Resort in Coron, Palawan around 5pm today. Iza looked stunning as she walked down the aisle wearing her Rajo Laurel wedding dress. It was paired with a beautiful shell hairpiece. Ben, on the other hand, looked amazing in a handcrafted linen suit in earth tone by Suit It Up. The couple got engaged in Tagaytay on October 7, 2017. Their love story began in 2011.